If you only have a tiny yard but you're yearning to create a well-maintained garden, there are only two things you really need, that is: determination and know-how. Following are some tips that will help you keep your yard-garden looking spruced up and glamorous. 1. 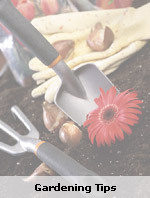 Deadheading Keep your border free from wilted flowers and dried leaves. Deadheading or removing dead flower heads will encourage your plants to produce more blooms and for longer. 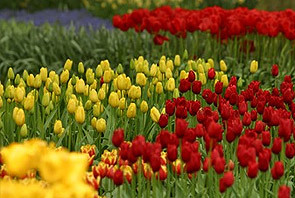 Many perennials such as geraniums and dahlias, and some annuals benefit from having dead blooms removed. 3. Pinch out tops Certain plants, in particular foliage plants such as Coleus - respond with a spate of exponential growth when their tops are pinched out. 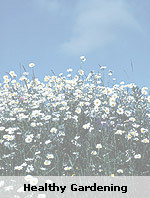 Pinching out makes the plant much bushier resulting in the production of more blooms. Note that Fuchsias are prone to becoming leggy unless they are pinched out. 4. Fertilize lightly A minimal amount of fertilizer will further boost the growth of your vegetation. If you water your yard-garden frequently, you have to fertilize it more regularly too, because of the nutrient depletion caused by watering. A two-weekly application of liquid fertilizer is sometimes more beneficial than the use of granules, because it is more readily absorbed by the leaves. Container plants will be considerably healthier if treated with a half-strength solution of liquid fertilizer, which is applied regularly. 5. Weed out Weeding out is one of the best ways to preserve the beauty of your yard-garden. Note that the weeds compete with your plants for both nutrients and moisture. If the weeds are not close to seeding, leave them on the bed to rot down for mulch. In the event that you need to use a weedicide, try and do so with a wick applicator, rather than a spray. This will protect you plants from spray-drift. 6. Water your plants well One good tip when it comes to watering your yard-garden is to give it a thorough soaking once a week, making sure there is no run-off, which is linkely to cause erosion. Deep watering will encourage the growth of deeper roots that will be more hardy in dryer spells. 7. Say no to chemicals Chemicals are dangerous to humans and often kill the natural predators that are beneficial to your garden, because they kill off your garden pests, so avoid their use, if at all possible. You can find many organic alternatives to choose from, that work just as well. Follow this simple advice and your yard-garden will soon be your pride and the envy of your neighbors. 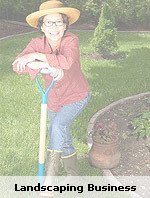 Take your gardening to new heights with my FREE gardening report Click here to download it now!